Note: The deadline to apply for the Wise Wall Project is over. No requests will be entertained now. We would like to extend to you the opportunity of applying as a volunteer for Project FUEL‘s ‘Wise Wall Project- Khati,’ 2018 in collaboration with The Hans Foundation. We have chosen a centuries old quaint village tucked in the belly of Uttarakhand called ‘Khati’. 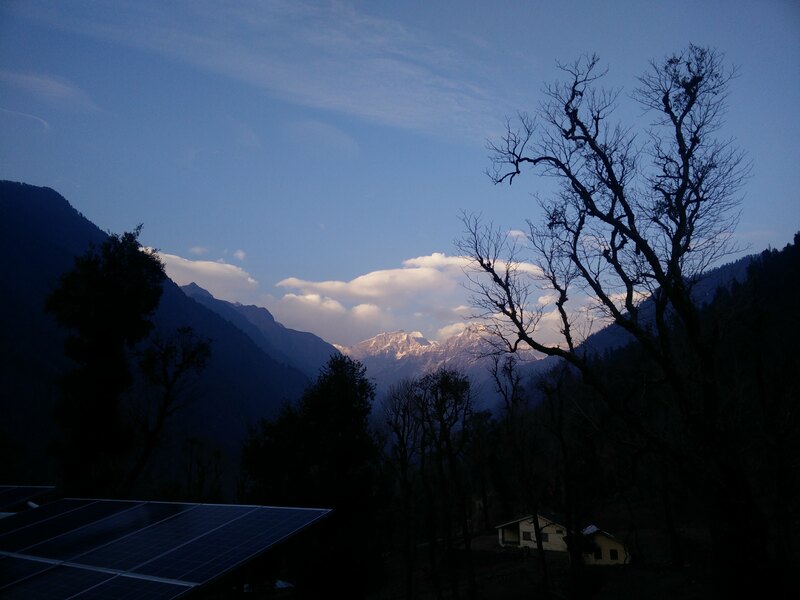 It is the last village en-route Pindari and Kafni glacier treks, situated at an elevation of 7250 feet. Khati is based on the banks of Pindar River, witnessing hundreds of solace-seeking trekkers from across the globe every year. Under this project, we plan to document life lessons of the entire village and then showcase the collected wisdom through art on the village walls itself. Through this documentation of rural wisdom and celebration of culture through community art the project also aims to enhance the social visibility of the village and the region. This will be used as a tool to raise awareness about the rural life, seek solutions to community issues, garner external support and potentially bring in resources to ignite a movement to transform remote villages into open-air galleries exhibiting human wisdom for anyone in the world to benefit from. (5th March – 3rd April): This is the main execution phase in which the painting of the village will commence on the 5th of March. The artists, volunteers and guests will start painting life lessons of the families (previously documented) on the houses. Simultaneously, the documentation of more life lessons and stories of the families in the village will take place. After reviewing your application, if you are selected we will be allocating specific dates for your engagement and participation in the project in the month of March. The duration of this 30 days project is divided into three slots of ten days each. You will be expected to participate for a minimum of 10 days (this doesn’t include travel in-bound and out-bound time). Basically, keep 14 days aside for this. Khati is a remote village and will take 3-4 days of travel in and out. But it’s all sorts of worth it. We will be staying in a cozy guest house in the village, managed by ‘The Hans Foundation’, who have been actively working to empower Khati along with seven more neighbouring villages. This Wise Wall Project is an effort to continue the impactful integrated village development program initiated by The Hans Foundation. We are happy to share that we will be taking care of your food and stay for the time slot you will be allocated after the selection process. All travel expenses to Khati will be borne by you. From your respective place of residence, reach Kathgodam railway station in the morning. Take a taxi from the railway station. While soaking the serene surroundings to reach a small town, Kapkot by evening (it’s a 6-7 hours drive). Stay the night at a hotel in Kapkot and leave early morning, taking the motorable road that extends to Kharkiya (another 4 hours drive). Once you have arrived in Kharkiya, it’s not over yet. The last leg of a 5 kms of trek awaits you to bring to Khati. This remaining 5 km trail to Khati follows a well laid out path through Rhododendron & Oak trees while walking through the flora of Kumaon hills. We will be happy to provide you reference contact details for the taxi drives and the accommodation options in Kapkot. The only network available in Khati is BSNL cellular. Experience days without work calls, emails and messages! Please click here http://bit.ly/2EkfLdY to fill out the application form. Deadline to fill the application is 18th February, 2018. You will be intimated about your selection latest by 19th February, 2018. Cannot wait for you to be a part of a team who inspires, creates and spreads magic! Let’s paint a village full of life lessons on the foothills of a gorgeous glacier! 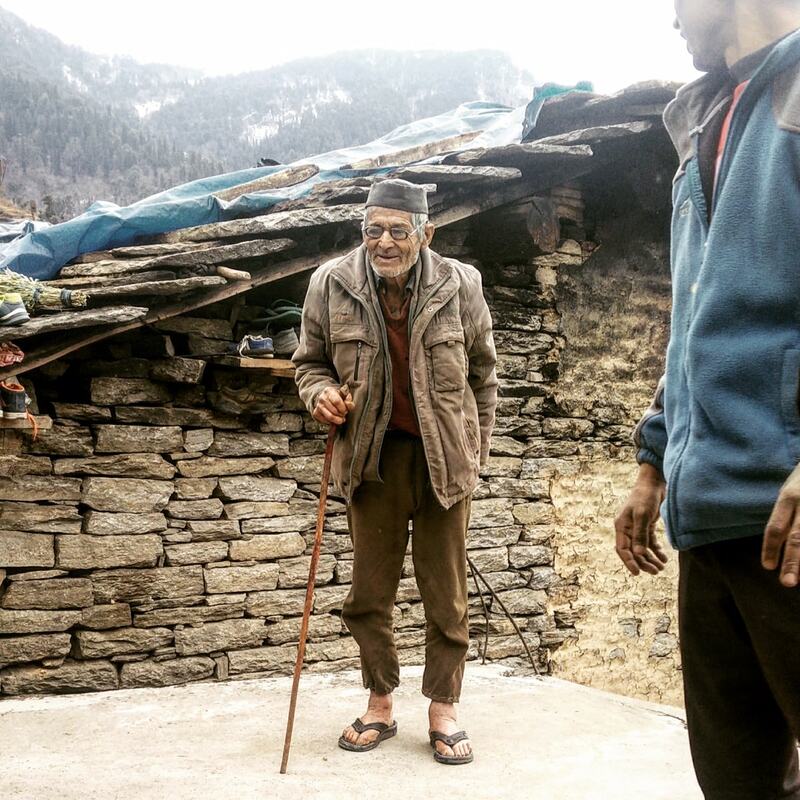 Previously, in 2017, under The Wise Wall Project, in Saur, Uttarakhand, we documented the life lessons of an entire village and then showcased the collective wisdom through art on the walls of the village. The village has now been transformed into a big classroom with each wall being a blackboard that uncovers striking yet simple life learnings. Through our social network initiatives these lessons will continue to create awareness and encourage outsiders/city dwellers to value learnings from their often ignored roots. I am working in IVDP (Integrated village Development Project) at Pindar Valley as Agriculture partner of The Hans Foundation. I want to join as a volunteer for Project FUEL‘s ‘Wise Wall Project- Khati. Vibrant concept.I am so happy that you are going.Good luck Tapshi.Great initiative project fuel. I m also a Garhwali from Pauri Garhwal.